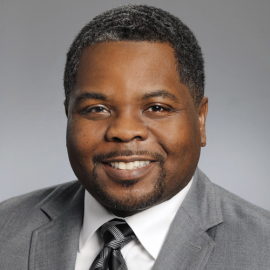 Alvin Reaves is currently the Director of Palliative Care at Medstar Southern Maryland Hospital Center in Clinton, Maryland. Dr. Reaves is a hospice & palliative medicine specialist, has been practicing for more than 20 years, is board certified in Internal Medicine and completed a fellowship in Hospice and Palliative Medicine at the National Institutes of Health in Bethesda, Maryland. Dr. Reaves completed his undergraduate studies at The College of William and Mary in Williamsburg, Virginia and later earned his medical degree from the Medical College of Virginia in Richmond. He received his internship and residency training in Internal Medicine at the Washington Hospital Center in Washington, D.C. where he was appointed Chief Resident. Prior to fellowship, Dr. Reaves was in private practice in Internal Medicine for 2 ½ years in Orangeburg, South Carolina before transitioning to Hospitalist Medicine in 2005 at The Regional Medical Center in Orangeburg. While there, he served as Associate Director of Hospitalists and Medical Director of Palliative Care.